LionsDeal > Cookware > Kitchen Apparel >< Pot Holders and Oven Mitts > Winco OMT-17 Terry Cloth Oven Mitt 17"
Winco OMT-17 Terry Cloth Oven Mitt 17"
Use the Winco OMT-17 Terry Cloth Oven Mitt 17" to offer your staff ultimate comfort and protection when handling hot food. 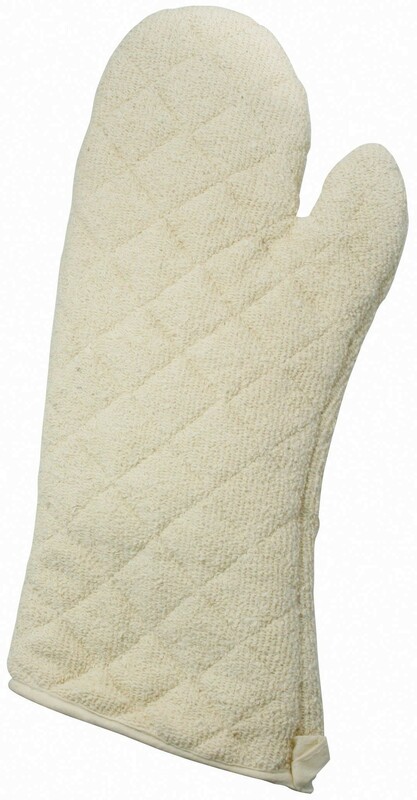 Made of 100&percnt; cotton with a silicone coating, this oven mitt is heat-resistant up to 600° F and 315° C.
Flexible and comfortable to wear, this oven mitt offers a sturdy grip when maneuvering heavy pots while its loop hole makes it easy to hang. Use it to transfer steaming hot food from the oven and stove top. OMG!!! Finally some oven mitts that cover my entire forearm!